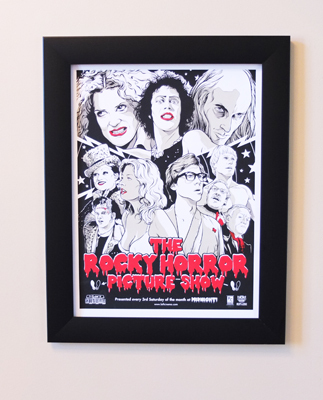 Framed here is the work of artist Joshuah Budich for The Rocky Horror Picture Show in one of our wide border frames. 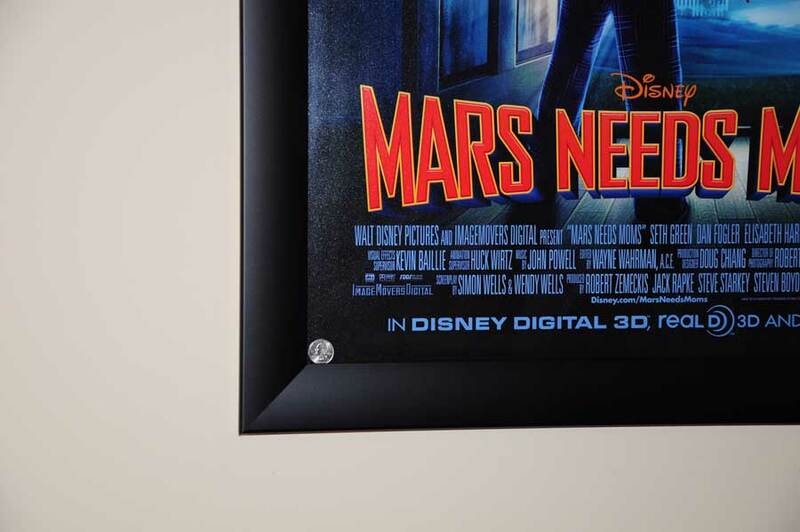 This artwork is not included with your frame purchase. Our art print frames are made from the highest quality Anodized Aluminum. We take pride in the fact that these frames have a look and feel far superior than most frames on the market today. 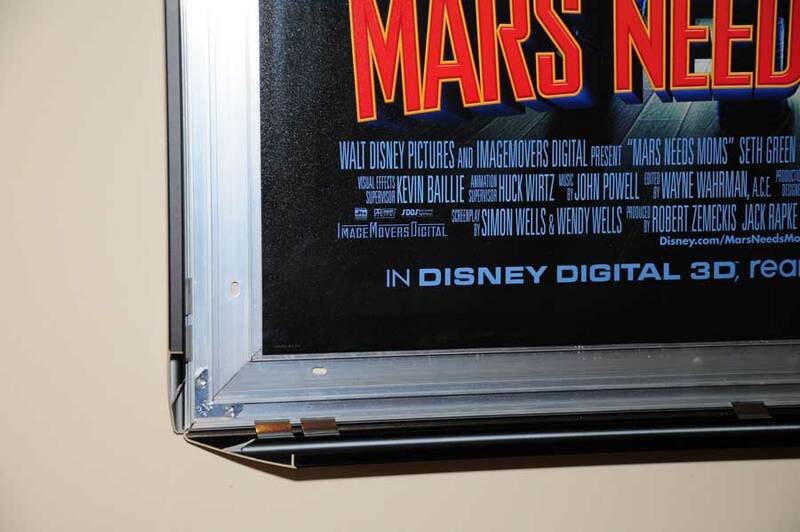 And the best part about these frames is once they are on the wall, you can change the prints in and out just by snapping all 4 sides open, never having to take the frame off the wall. This frame holds picture and art prints sized 18" x 24" If this is not the size of the graphic you are looking to display, just contact us, we can custom cut any size you need. print sizes can vary, please take a moment to measure your art before ordering.